Carey Kendall, a licensed real estate agent in the Santa Ynez, California, market, has joined the prestigious Haute Residence Real Estate Network. The Haute Residence Real Estate Network of Hauteresidence.com, affiliated with luxury lifestyle publication Haute Living, is proud to recognize Carey Kendall as a prominent real estate professional and the network’s newest partner. Carey Kendall has been a resident of Montecito/Santa Barbara since 1975 after graduating with a B.A. in economics. In 1980, he completed the USC Broker Development Course, a comprehensive series of real estate courses over many months, and later that year, he earned his California real estate broker license. 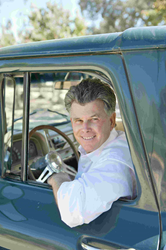 Over the past 35+ years, Kendall has developed a very thorough knowledge base and experience in ranch and estate sales as well as in vineyard, land, and commercial property sales. Kendall was recognized as the number one agent in the Santa Ynez Valley for 2014 and 2015. In 1995, he and his wife Alix built their 10-acre horse ranch in Los Olivos, a township in the beautiful Santa Ynez Valley. A lifelong equestrian, Kendall’s other passion has been vintage motor cars. Over the past several decades, he built a stellar reputation in this vintage motor car arena, placing rare and special cars around the world to various collectors. Kendall brings in-depth negotiating experience and worldwide contacts developed from this diverse background to the table in the marketing of special properties.